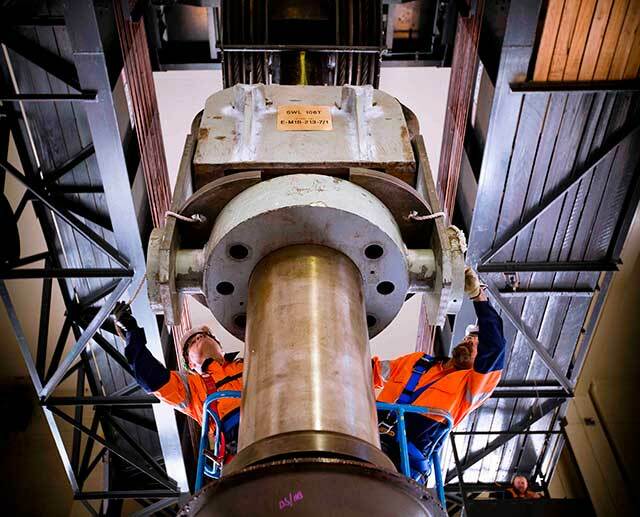 Snowy Hydro’s ability to protect the environment from harm starts with the way our plant is designed and built. Both the hydro and thermal assets are designed with effective barriers to prevent direct impacts to the environment when operating. The hydro power stations utilise oil containment and separation systems with three layers of protection including drainage pits, oil skimmers and oil water separators prior to discharging station water to the environment. Our thermal power stations have advanced systems in place to reduce emissions whenever they are running. Another factor contributing to Snowy Hydro’s ability to protect the environment from harm is our approach to plant maintenance. Because part of our business is derived from providing electricity ‘insurance’ contracts to the National Electricity Market, we rely heavily on the reliability of our plant to start quickly and keep running whenever it is needed. This means that our plant is constantly being monitored, maintained and upgraded to avoid the risk of defects and outages. The focus on plant reliability and availability means that the scope for harm to the environment from faulty or failed assets is substantially reduced. While Snowy Hydro is expanding its generation portfolio with thermal plant, our gas-fired power stations, in aggregate, produce a minimal amount of emissions compared to the combined cycle gas, co-generation and coal burning participants in the industry. The release of emissions and greenhouse gases from our power stations is significantly reduced by the ‘peaking’ nature of their operations, particularly with respect to our thermal plant. By way of example, in the 2014/2015 financial year, our thermal power stations generated electricity to the grid for less than half of 1 per cent of the available generation hours. Snowy Hydro tracks the greenhouse gas emissions associated with electricity generated at our generating stations and across all our facilities. These emissions are reported annually in the National Greenhouse and Energy Report (NGER). Despite significant investment in renewable energy by other companies nationwide, the Snowy Scheme remains the single largest supplier of greenhouse gas emission free energy in the national grid, offsetting the release of 4.5 million to 5 million tonnes of carbon dioxide that would otherwise be emitted from coal fired power stations (depending on the amount of hydro power generated).